Up in Smoke: $1 Million Missing from Patterson Fire Department! In a dramatic expansion of possible wrongdoing, a second volunteer fire department in Putnam County is now under investigation for suspected alleged misuse of taxpayer dollars. Word was received over the long holiday weekend that the Patterson Fire … Please login below or purchase a subscription to the Putnam County Courier to access this content. That 55-year-old Mahopac man owning pet shops in Danbury and Mohegan Lake, charged last summer with three counts of animal cruelty in Connecticut, is now facing multiple charges of witness tampering. Richard Doyle appeared in court last Wednesday an… Please login below or purchase a subscription to the Putnam County Courier to access this content. As Monday night’s sleet and freezing rain demonstrated, winter is here. When those conditions happen before students head off for a day of lessons, school officials must make the often difficult decision whether or not to cancel classes for t… Please login below or purchase a subscription to the Putnam County Courier to access this content. 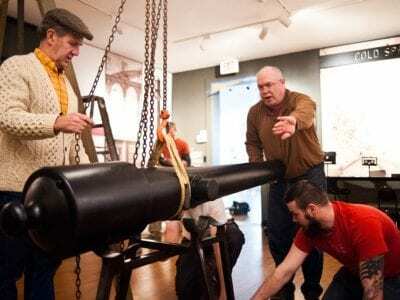 Mark Forlow gives direction on where to place the Parrott gun inside the Putnam History Museum’s exhibition room. A journey over 150 years in the making finally came full circle last week. It was a long anticipated homecoming for an original Pa… Please login below or purchase a subscription to the Putnam County Courier to access this content. Chamber members Lillian Melchner (left) and Lisa Kass (right) turn over a bounty of stuffed animals to Anita Minella on Christmas eve. Being hospitalized during the holidays can be hard! Members of the Greater Mahopac-Carmel Chamber of Commerce reali… Please login below or purchase a subscription to the Putnam County Courier to access this content. Christina McGuigan, PFCS Holiday Wish List organizer, getting ready to distribute gifts donated by local residents. Children of Putnam Family & Community Services (PFCS) clients found special gifts under their trees on Christmas morning thanks to… Please login below or purchase a subscription to the Putnam County Courier to access this content. 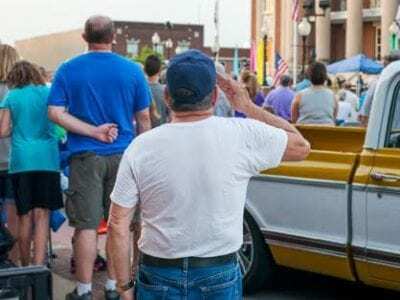 Michael Young’s photo essay tells the story of Muhlenberg County in Kentucky. Once known for being one of the nation’s largest and most profitable coal producers, Muhlenberg County in western Kentucky has found itself on an economic decline. Th… Please login below or purchase a subscription to the Putnam County Courier to access this content. A Putnam County resident has been awarded a $1,000 per year “Educational Foundation Academic Distinction” scholarship to attend Alfred State. 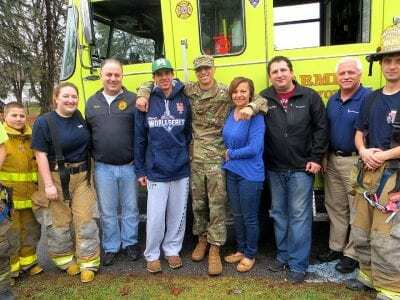 Thomas Siclari of Mahopac is slated to graduate in 2016 from Mahopac High School and intends to enroll in t… Please login below or purchase a subscription to the Putnam County Courier to access this content.